Our B-Tek scales can be customized. We can paint them Safety Yellow, Orange, Blue etc... Need a special paint for chemical protection or specialty coatings such as Coal Tar Epoxy, triple-coat paint systems and even Hot Dip Galvanized. Need to replace an existing truck scale? Replacing an odd size platform scale? COLORS - Safety Yellow, Candy Apple Red, Flame Orange, Mystic Blue or Jet Black! B-TEK offers an unlimited selection of custom paint color options. B-TEK will paint any of our manufactured scale platforms to match your existing plant equipment, duplicate a corporate color or just make the scale the show piece of your facility. 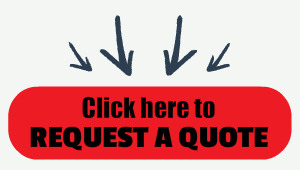 COATINGS - Need a special paint system applied to your scale for chemical protection? Scale located in a coastal city near the sea? Measuring road salt? B-TEK has supplied our manufactured scale platforms with many different types of specialty coatings such as Coal Tar Epoxy, triple-coat paint systems and even Hot Dip Galvanized, to meet our customers requirements. 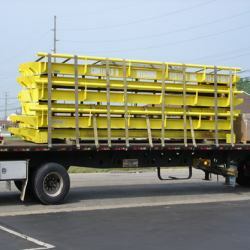 SIZES - Need to replace an existing truck scale and require minimum down-time? Replacing an odd size platform scale in a pit? Require a bench scale mounted on a wheeled portability cart ? B-TEK has built a reputation in the weighing industry for our willingness and ability to retrofit existing scale installations or build custom platform scales. From a custom 8 inch x 8 inch bench scale to a 180 ft. long truck scale, B-TEK has the engineering talent and manufacturing ability to meet many of your custom scale application requirements.